Underwoods Skoda would like to introduce the latest model to the Skoda Family - the new ŠKODA KODIAQ which will be the brand’s first large SUV and 7-seater vehicle and available in a choice of four trim levels – S, SE, SE L and Edition. The Skoda Kodiaq was unveiled at the Paris Motor Show on the 1st September. Presented by ŠKODA CEO, Bernhard Maier, the new model was launched to a huge crowd, where he discussed the striking design and numerous technical innovations to great applaud. Call today to book your test drive on 01206 844421. 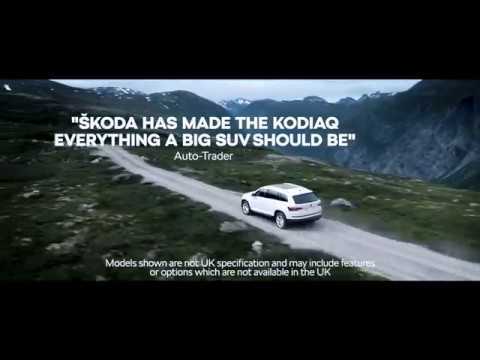 ŠKODA Kodiaq price starting from just £25,770 and will be available to buy from Underwoods - ŠKODA Main Dealer in Colchester, Essex. The exterior design of the ŠKODA Kodiaq reflects the brand’s new emotional appeal. All the edges and lines are clear, precise and sharp, while crystalline design elements accentuate the exterior. The interplay of light and shadow creates powerful effects on the strikingly chiselled surfaces. At the front the bonnet relies on the creative use of plastics, with contours flowing towards the brand logo. The wide grille and four tapered, high-set LED headlights characterise the face of the show car, emphasising the vehicle’s SUV character. The side view also illustrates the strong SUV character of ŠKODA’s Kodiaq with sharp tornado line spanning the entire length of the powerful car body. Angular wheel arches emphasise the off-road character and the upper-shoulder contour forms a deep groove over the sills. The quickly sloping roofline with the long spoiler and tapered rear visually accelerate the show car even when stationary. The rear of ŠKODA’s Kodiaq has been sculpturally designed with a strong diffuser insert bordering the large exhaust pipes, giving the large SUV a visually powerful stance. 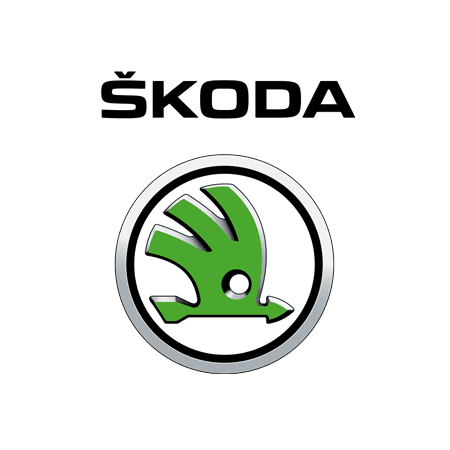 The ŠKODA logo and shallow rear lights with dynamically cut crystalline housings sit just beneath the low rear window, while ŠKODA’s characteristic C-arm, beginning at the rear lights, runs into the flat reflectors in the bumper. The ŠKODA​ Kodiaq will be a five-seater as standard, with sliding and split-folding rear seats, as well as an optional third row of seats making it the first seven-seat ŠKODA​. Five-seat models come with a best-in-class 720-litre luggage capacity behind the second row of seats, while the seven-seat version sees this reduced to 630 litres. Fold all the seats down and you’ll get up to 2,065 litres of space, while five-seat models will come with adjustable second-row seats as standard. These will be capable of being tilted, slid forward and back and folded individually. An optional folding front passenger seat, meanwhile, will allow the Kodiaq to accommodate items up to 2.9 metres long. the ŠKODA Kodiaq’s has the latest connectivity and in-car technology, Top-of-the-range models will come with Infotainment Online, which includes real-time traffic updates for the sat nav and an integrated wi-fi hot spot as standard. This connects to the web using, according to ŠKODA, “the fastest mobile communications standard currently available”. As well as allowing passengers to browse the web while driving, Smartphone connectivity has also been a focus, with Apple CarPlay, Android Auto and MirrorLink compatibility all standard features. The ŠKODA ‘phonebox’ uses wireless inductive charging to keep your phone topped up. The ŠKODA Kodiaq will also come with a variety of driver-assistance systems, including cameras to allow you to see all around the vehicle, while a towing assistance system can steer the car automatically when you’re parking with a trailer attached. There are also upgraded parking sensors that can brake the car automatically, while adaptive cruise control will also be available.